Lone Star Carpet Care and Restoration provides reliable power washing (pressure washing) services in San Antonio for both commercial and residential properties in the greater San Antonio area. Lone Star Carpet Care and Restoration utilizes hot steam to remove stubborn dirt, grease, oil, gum, mold or mildew from almost any surface including sidewalks, driveways, parking lots, buildings, and more. 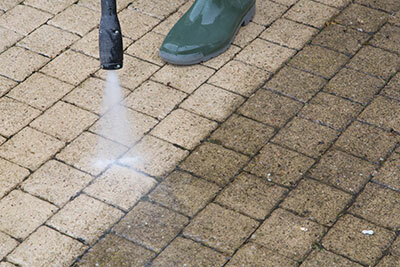 Let Lone Star Carpet Care and Restoration's power washing services uncover the beauty underneath the dirt and grime.